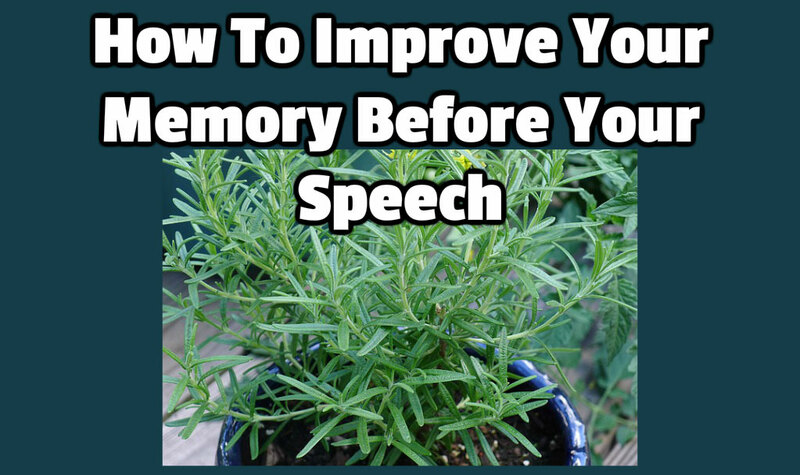 Did you want to know how to improve your memory before your speech? Perhaps you really wanted to memorise your speech. Or, perhaps you wanted to commit your introduction and conclusions to memory. Chances are you didn't quite manage it. 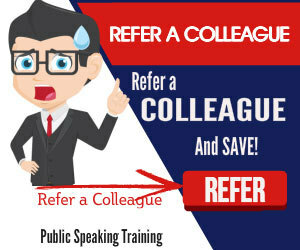 Training your mind so that you can recite an entire speech takes some doing. Yes, it's possible. But, typically you need time to do it with some satisfaction. There has to be a reason why the likes of Anne Widdecombe and David Cameron managed their conference speeches without notes or auto-cue. They had the whole summer holiday to get themselves ready. That's the trick! Of course most of us have real jobs to do and not that much time for one speech or one presentation. So that's why we use notes, scripts or auto-cue. They help to keep us on track. But further help might just be at hand. That's because researchers at Northumbria University in Newcastle Upon Tyne have discovered some special properties in Rosemary. That's right, Rosemary, the aromatic shrub. Their findings suggest that getting a scent of Rosemary can boost your powers of recollection. In their studies they discovered that the aroma of rosemary oil had a positive impact on the recollection of children. And this finding followed an earlier one that noted how Rosemary oil aroma also boosted the memory of adults. The researchers, Dr Mark Moss and Victoria Earle, presented their finding at the British Psychological Society's annual conference this week. Good work. But, perhaps we shouldn't be too surprised. After all, the ancient Greeks are known to have worn Rosemary garlands to boost their memory. And William Shakespeare noted the same properties in Hamlet. However, what if your olfactory powers are not what they used to be? Or if you want something a bit less pungent to help you to improve your memory before your speech? 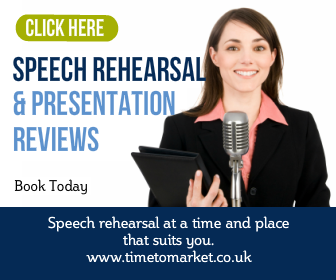 Then you can always read this top tip that tackles the fear of drying up when presenting. Now, it's up to you.